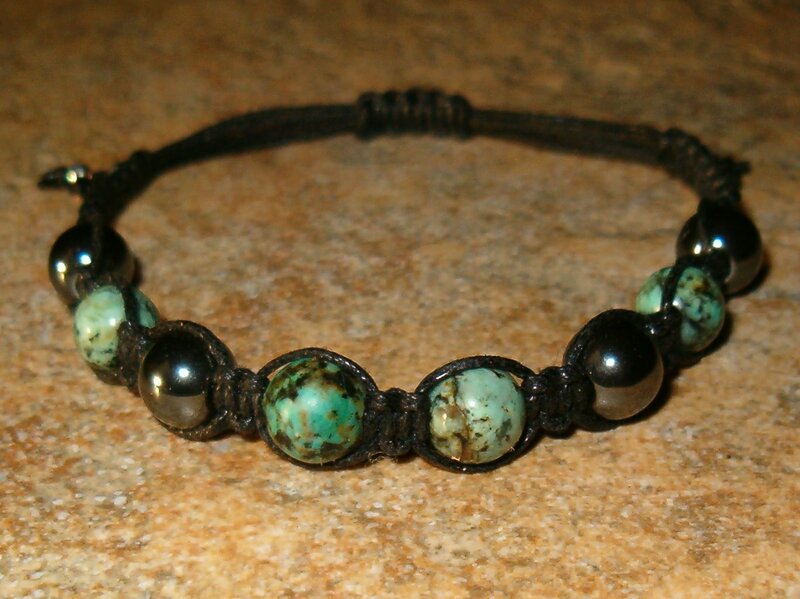 The combination of African Turquoise and Hematite is grounding, stimulates tranquility, peace, reconciliation & reassurance, increases sensitivity & tolerance, gentle healing, soothing, calming, promotes prosperity, luck & fortitude and fosters creativity. 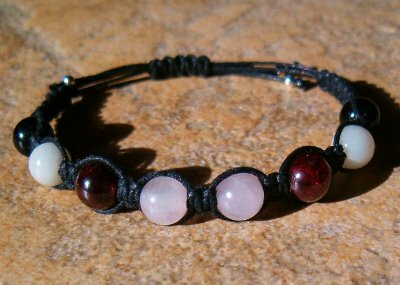 The combination of Garnet, Rose Quartz, Moonstone and Obsidian enhances personal empowerment, provides a loving, nurturing energy and is grounding. 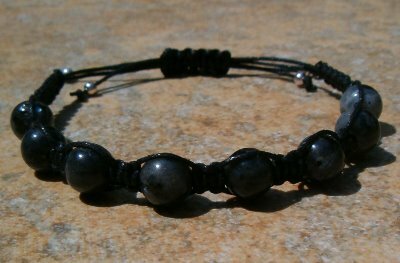 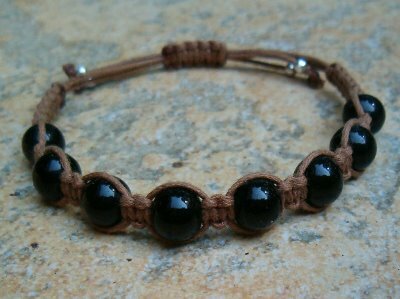 Black Obsidian protects against depression, helps block negativity, promotes self-control and is grounding. 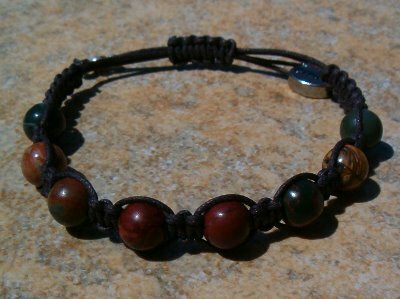 Red Creek jasper combines softly muted shades of mustard yellow, olive green and burnt red. 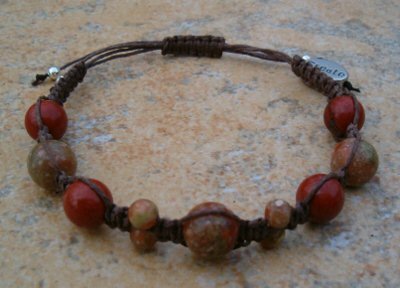 Red Creek jasper is also known as Cherry Creek jasper, Picasso jasper or red Picasso jasper. 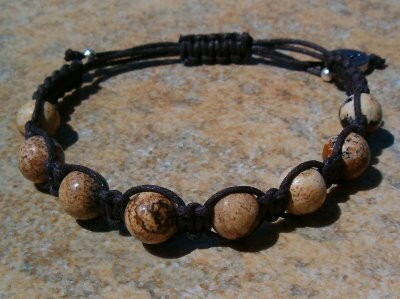 Promotes balance and relaxation, grounding, enhances creativity and helps brings issues to light before manifesting into a larger problem. 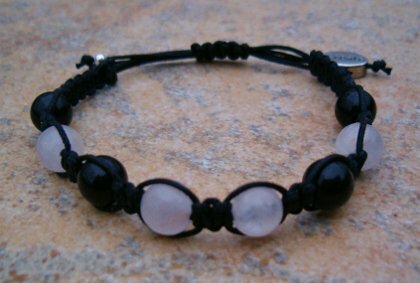 The combination of Black Obsidian & Rose Quartz enhances personal integrity & protection but with gentleness & love, dispels negativity, encourages creativity and opens new doors, brings clarity to situations and uncovers truth and grounding. 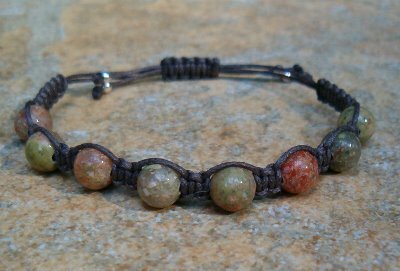 The combination of Black Tourmaline, Red Jasper, Red Creek Jasper & Spiderweb Jasper is very grounding, earthy & protective against negativity and enhances creative endeavors. 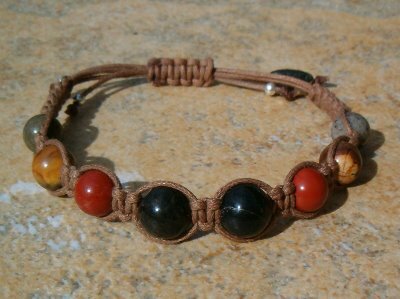 The combination of Autumn and Red Jasper is very earthy, grounding, healing & balancing.